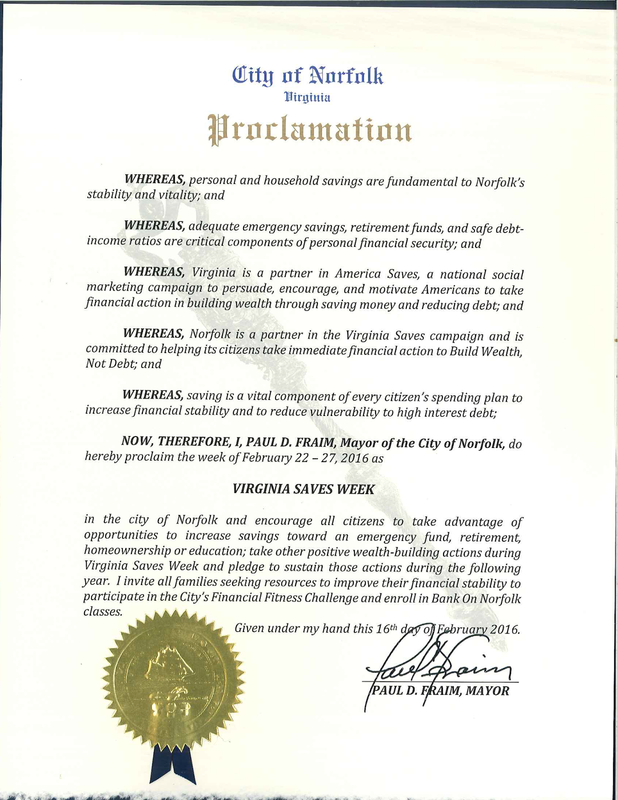 Virginia Saves is a local campaign of America Saves challenging citizens to make a pledge to save for 2016. America Saves offers tools, applications and emails to help you go further as you begin to save. Check out this proclamation and look at our Virginia Saves tab to begin your savings pledge. Did you pledge in a prior year? Repledge to keep your information current and to continue enjoying America Saves materials.